OUR PROGRAM TURNS THE INNATE ENTREPRENEURSHIP MINDSET OF PEOPLE WITH DISABILITIES INTO A WORKFORCE DEVELOPMENT STRATEGY. People with disabilities are innately entrepreneurially minded. From the moment disabled people wake up, they have to figure out how to get dressed, how to drive, how to communicate, how to live in a world that is not build to fit their needs. The mindset of disabled people is innately: collaborative and communicative, oriented towards problem solving, good at working with limited resources and used to overcoming daily challenges. 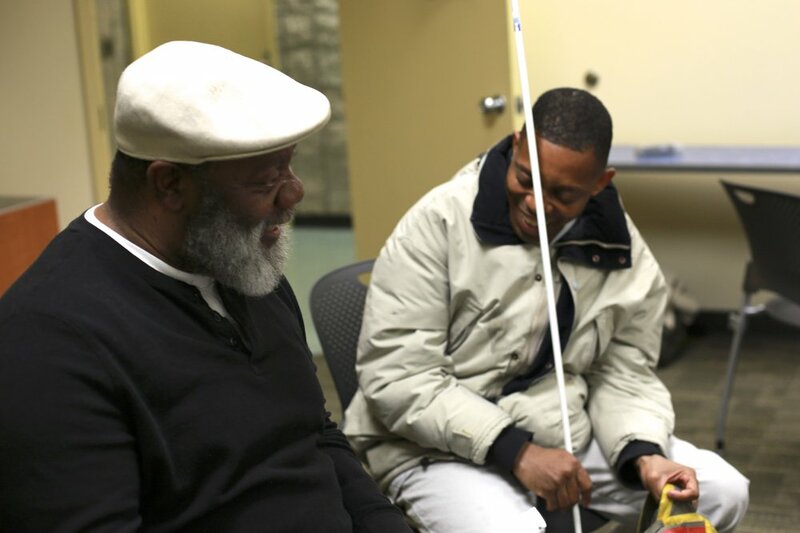 Our program turns the innate entrepreneurship mindset of people with disabilities into a workforce development strategy. By working on their own startup, disabled entrepreneurs learn different aspects of the workforce. They also gain first hand experience in building managing and growing a company. These are business workshops through which our members learn and apply the Lean Startup Methodology. What makes these workshops unique is they are accessible to all disabilities. These are facilitated discussion groups where disabled entrepreneurs crowdsource solutions to their startup challenges. These are sessions where our members meet one-on one with a fellow entrepreneur who is further along in their startup and can serve as a mentor. We recognize that Disabled Entrepreneurs face unique challenges when working on a startup. We actively work to establish partnerships with organizations that can provide other services outside of entrepreneurship support. Are you a disabled entrepreneur? Learn and meet other entrepreneurs with disabilities and get inspired! Click below to join our Meetup.